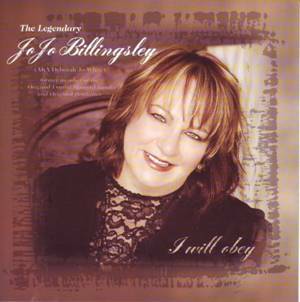 JoJo Billingsley, the former Lynyrd Skynyrd's honkette, has come back for some time in the music world, especially with a very good disc. We met her to discuss about it. 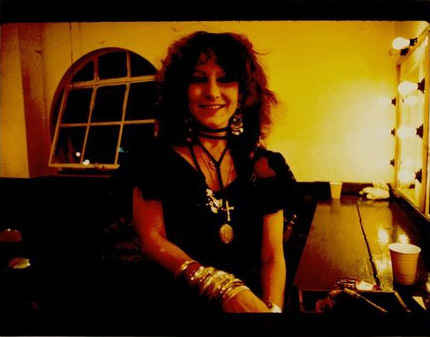 But of course we have asked her about all her career and particularly about her saga with Lynyrd Skynyrd. An interesting light on this eventful life with these times of happiness and tragedy... A page in the history of rock and roll. You were born Deborah Jo White but we know you as JoJo Billingsley. What is the origin of this alias? I was born Deborah Jo Billingsley. I married Timothy White; so White is my married name. Ronnie Van Zant named me « JoJo » because there were 2 people in our Skynyrd entourage with the same name; me, Jo, and Joe Osborne, our guitar roadie. So to cut the confusion I was then known as « JoJo ». It just stuck. Do you still use this alias? It is not an alias; just my maiden name. I did not use it for several years because I was mostly singing at churches and thought I needed to make a distinction between the two. I found out I am still the same person regardless. I used that name primarily on this project to let the world know I am still alive and well, and also to honor my dad's name, which is Billingsley. Could you tell us about your youth and how do you began to sing? I started singing at age three; I took dance lessons (tap and jazz) from the time I was three to about age 14, and did recitals about twice a year which were like showcases of all the students. I would sing and dance. I also was church soloist by the time I was 10 or 12. I was also involved in the music program at my school; choral group, girl's vocal ensemble, etc. where I was a soloist. I sang at my high school graduation. 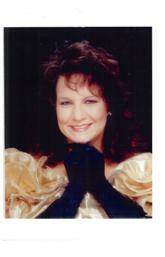 I was a coloratura soprano at the time. I received a scholarship to attend the University of Mississippi (Ole Miss) but had a difficult time because I never had music theory. I do not read music or know how to play any instrument (except percussion). I was born with a gift for music that God gave me; almost like an audiographic memory. I have the ability to hear vocal harmonies and different instruments in my head like guitars, trumpets, violins, etc. but have no real knowledge of what key they are in or how to play them, but I just KNOW. It has to be from God. My dad called me while I was attending college and asked me to leave Ole Miss just a few months after I enrolled and come home for good. He died just three months later at the young age of 51 with a heart attack. I am glad I did leave school when dad asked me to so we got to have that time together. Here is a little known fact about me: I was once invited when I was 16 to visit and attend Julliard School but my dad would not let me because it was in New York City. I sometimes wonder what my life would have been like if I had. Was your singing influenced by some artists? 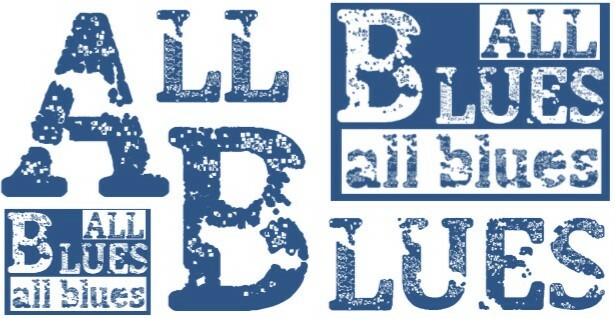 Yes, being raised near Memphis I had a strong background of listening to soul, rhythm and blues, and rock. I attended lots of the WDIA soul reviews and saw Aretha Franklin, Ike and Tina Turner, James Brown, the Temptations, etc. One of my favorites growing up was Aretha Franklin. That woman could sing! I also liked Elvis, Otis Redding, Janis Joplin, the Allman Brothers, and Delaney & Bonnie. My very first concert I attended was the Rolling Stones at age 12. How ironic I got to play a gig at Knebworth, England 12 years later with Skynyrd on the same bill as the Rolling Stones where 250,000 people were in attendance! There are too many more groups to mention but these are just a few favorites from my teenage years. You joined the band Oil Can Harry in 1972. Was it your debut as professional artist? Yes, I suppose you can say that. When my Dad died in 1971 he did not have a will, so I started singing for a living because I had never worked a day in my life. My first band I sang in was a local band in my hometown in Senatobia, Mississippi with a guy named Tommy Howe. I think I sang maybe 4 gigs with them. Through singing with them I met a bass player from Memphis, Billy Beaver, who went back and told his band about me and that group just happened to be some of the members of "Oil Van Harry". I started singing with them shortly thereafter. Some of the members changed. We did a tour overseas in 1973 or 74. My memory is not quite certain which. It has been a long time! The group then changed members to become "Gizmo" and we played together about a year until I was asked to join Skynyrd. What was your role? Lead singer? I was both lead singer and harmony singer. Several of the members sang including the drummer, Chuck Covey, and the rhythm guitarist, Jack Rowell. I was the only girl in the band. What was the style of this band? We were a copy band. We did top 40, rock, rhythm & blues, & soul. 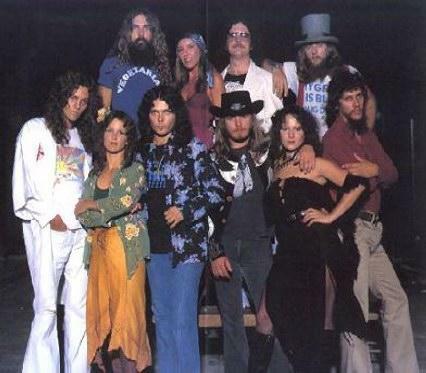 When and how did you begin to work with Lynyrd Skynyrd? A friend of mine named Bob O'Neal was doing the lights for Skynyrd and Fleetwood Mac; he turned my name into them and Kevin Elson (the sound producer) invited me to come to Nashville to a concert. It was there I met Ronnie Van Zant for the first time and he hired me on the spot. When I entered the room backstage where he was sitting with his bare feet propped up on a table, he took one look at me, tipped his hat back, smiled and said, "she'll do just fine!" and hired me without ever hearing me sing. Good thing I knew how! It was for the "Give Me Back My Bullets" tour; I do not remember the exact date, possibly early 1975. Allen and Gary were the only guitarists at the time. The album had already been recorded using the Honeycutts (I think) on the record; they were (as far as I know) studio singers. 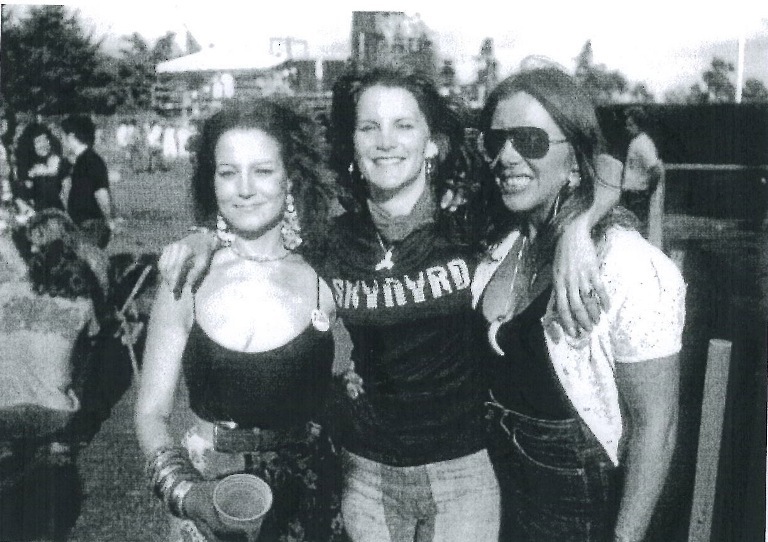 We three ladies were hired for the tour when the band was promoting that particular record. The rest is rock history. Were you interested in Southern rock and especially in Lynyrd Skynyrd before to meet it? Yes, they were my very favorite band. Why Ronnie Van Zant wanted to add female backup-singers to the band? Maybe to put the icing on the cake! When and why was this name "The Honkettes" chosen? Ronnie often called me "honky" for some reason when I first met him but I never knew why... I did not even know what it meant. He was the one who named us "the Honkettes" and he never told us why. It just seemed to fit us. 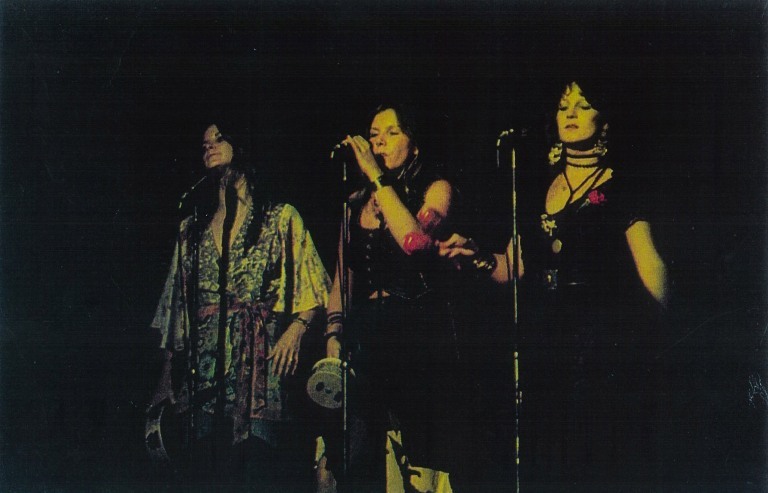 The Honkettes were Leslie Hawkins, Cassie Gaines and you. Was the choice of you three based on technical arguments like a complementary of your voices, etc.? No; we had never sung together before we were hired. Leslie came from "Wet Willie" band [Editor's note: you can listen to her back singing on two tracks of their "The Wetter The Better" LP] and I knew Cassie from working with her in Memphis at a place called Pancho's. She knew I was a singer, and I knew she was a singer, but that is all. We had never sung together. She was my friend, and she was attending Memphis State University like me and was involved in their arts, drama, and music department. A little known fact about Cassie is that she sang in the original Broadway version of "Hair". So after the band hired me they asked me if I knew any other female singers and I told them about Cassie. She was living in Oklahoma at the time when I called her and asked her to come with us on the road. She had never even heard of Skynyrd. I told her to go and buy their two first albums and listen to them. She did, we did, and the rest is rock and roll history. I miss her! She was one of the most vibrant and remarkable people I have ever met. Did you begin with Lynyrd Skynyrd in concert alone on the background singing or were you immediately three? The three, and we were hired as a part of the Lynyrd Skynyrd band itself; it was only later into the tour Ronnie gave us a name. We were always a part of the band, not a separate entity. Did each Honkette have a particular role, a little different from the role of both others? Not really; I usually sang the low part cause I could, except on "Down South Jukin" I got to sing the top part on that one cause we recorded it first take in the studio at Muscle Shoals and that is what I just sang naturally. We never did that song live while I was with the band. Cassie usually always sang the middle part, and Leslie the top part. We always stood in the same order, too. Leslie on far left, Cassie in the middle, and me on far right. Always. Leslie played tambourine, Cassie played the cabasa, and I played the marochas. I am the one who had the honor of singing with Ronnie on the harmony parts and some ad libs, like on "Tuesday's Gone" while the other girls did the back ups. Our voices just blended perfectly together. How was the life on the road with Lynyrd Skynyrd? What were your most significant memories with the band? The family type relationships and the love we all had for one another even though we were all so different. Also, the fact that every show we ever played was sold out in advance. They were the very best musicians I have ever heard. They loved their music and had such a passion to play. They were the real deal! I was so honored and blessed to have been a part of one of the best bands in the entire world! Could we speak a little bit about the tragedy of 1977 or maybe do you prefer not? Why weren't you in the plane? It is a long story, but it is my side of the story and I am glad to set the story straight. I had my problems but one thing is for sure I could and can sing. Ronnie told me he wanted to try going back to just the male members of the band and as a result in Aug. 1977 the last gig I sang with them was at the Aladdin Theatre in Las Vegas, Nevada. I had been physically sick due to being hooked on drugs and alcohol, so I went home to stay at my mother's for a while in Senatobia, Mississippi, where I was under a doctor's care. I had heard through the grapevine Leslie was hired back, then Cassie. Honestly I did not care at the time because I was tired of that lifestyle. It is a hard life being a rock & roll star! They played four shows without me right after the "Street Survivors" album came out. Ronnie then called me and asked me to come back on the road that he missed me and he needed me. That was music to my ears! He asked me to fly to meet them in Greenville, S.C. but I told him I would meet them in two days in Little Rock, Arkansas, since it was only 150 miles from where I was staying in Mississippi. That night when I went to sleep after talking to Ronnie I woke up after God giving me the most vivid dream of my life: I dreamed the plane crashed! I saw the whole thing in my dream two nights before it really happened. The next day after my dream, I called to try and warn them to please not get back on the plane. I later learned they took a vote before they left Greenville that it would be their last time to fly on that plane. Well we know it was. How did you live the accident? I was the only one not on the plane. Sorry, I wanted to ask you what were your reactions when you learned the crash? How you did live this news? Do you still have contacts with Leslie Hawkins? Yes. We talk occasionally. I love her. Were you contacted to join Lynyrd Skynyrd when they reunited in 1987? No. I was never asked. Let's talk about Alias now. Why this name? Is it in relation with the fact that you use an alias? No, it is because all the guys in Skynyrd all used an alias when ever we checked into a hotel. How the project was born? Dorman [Editor's note: Dorman Cogburn, guitarist] and Jimmy [Editor's note: Jimmy Dougherty, lead singer] had written some of the songs and asked me to sing on some of them; then they asked me to join up with them. Then we got the record deal. I really do not like to think about that time of my life; the memories are just too painful. Could you tell us a little bit about guitarist Dorman Cogburn? What was his itinerary before and what occurred to him after Alias? 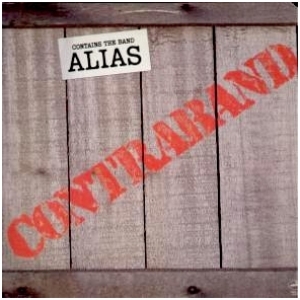 On the record "Contraband" (Mercury, 1979) were Barry Lee Harwood, Artimus Pyle, Billy and Ricky Powell, and Leon Wilkeson. Was it the same line-up in concert? No; only in the studio. Is there a familial link between Ricky and Billy Powell? I think so, am not sure. How long existed the band? When and why did it split? The three of us stayed together about a year and a half. We split up because of greed, bad management, and because I was almost killed backstage at a show in Savannah, Georgia. There were too many personality conflicts, too little money, bad management, along with a thousand other reasons which I won't go into now. I pray for them often. 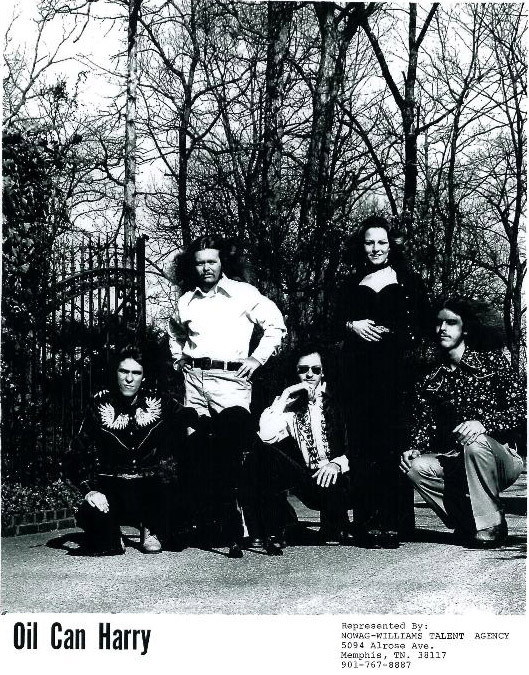 How occurred you did background vocals on the song "I'm Not Gonna Let It Bother Me Tonight" on the "Champagne Jam" (1978) of the Atlanta Rhythm Section? Robert Nix, the drummer/songwriter for the Atlanta Rhythm Section took me home to stay with him and his family in Doraville, Georgia, after Ronnie Van Zant's funeral. One night he took me to their studio, put me out in the studio in front of a mike, turned down the lights, set an atmosphere for me to hear that song. He told me they had recorded it several times, but it needed something, and if I heard anything to start singing along. He is a good producer, and good producers do that! He did, I did, they did, and that recording you hear is what was left after the band went in the next morning after and mixed me down and almost out of the song while Robert and I were asleep after our session. That devastated Robert. It could have been a number 1 smash hit! It still climbed pretty high on the charts. You should have heard the version Robert and I recorded first! How occurred that you were friend with Robert Nix? I had met him the first night I met Skynyrd in Nashville when Ronnie Van Zant hired me. The show that night featured Atlanta Rhythm Section and Lynyrd Skynyrd and it was sold out. Ronnie introduced me to Robert and we were immediate close friends. Still are. Robert Nix is a remarkable man. I will always be grateful to him and his family for helping me after the plane crash. They took good care of me during that horrible time. Where you interested by the Atlanta Rhythm Section's music? They were good musicians and had some good songs. My connection to them was Robert. Did you have a job as session backup singer? No, but I always wanted to be a session singer. As I know, you've too recorded with Billy Joe Royal. When was it and what was the title of the record? It was after the plane crash; not exactly sure of the time frame. He and Robert Nix were good friends and so Robert was his producer on this particular record. I think the title was going to be "Home and Homesick". The record was never released as far as I know. It was another one of those great projects canned by the record company before it ever was released. Not because it wasn't good, but because it was so too good. Leslie Hawkins, myself, and a girl named Lynn (I think) sang backups together on it and Robert named us three girls "the Vicious Voices"! That was my only association with Billy Joe. How Occurred that you attend this session? Did you know him? No, never met him before that session. Robert called us in. Did you participate to others musical projects (except the Lynyrd Skynyrd stuff, Alias, "I'm Not Gonna Let It Bother Me Tonight", the Billy Joe Royal disc) until your return in the 2000's? I have read you performed too with 38 Special in concert. When was it and how long? One time live at a show in Pasaic, N.J. I sang with them on the song, "Tell Everybody". They ended up getting a new contract that night. 38's rehearsal studio was right next to ours in Jacksonville and I would go over there occasionally and sit in with them. When and why did you finish to sing professionally? I was beaten and left for dead backstage at a concert in Savannah, GA. in 1980; ironically by a roadie from ARS. I even had a jury trial in Georgia which awarded me a cash settlement which they never paid. I forgive them. What was your life after? I stopped singing in 1980 as a result of waking up in a puddle of my own blood after that attack in Savannah. Quit singing at the time because I thought "if this is what music is all about I do not want any more part of it." I met my husband shortly thereafter and we lived in Atlanta and then for a brief time in his hometown of Ashland, Alabama. I sat in with a group called "Joker" from Anniston, AL. a few times that year. 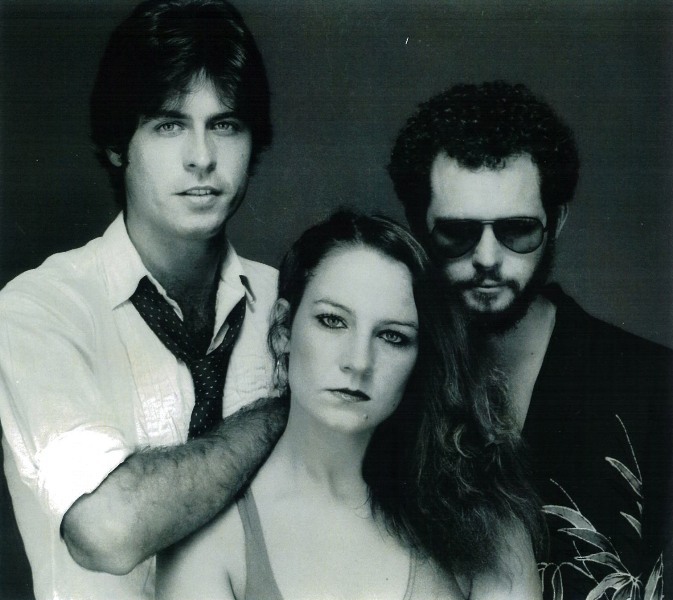 My husband and I were married in 1981 and moved to Dallas, Texas, where I sat in a few times with the LaValley brothers in a band named "Nuthin Fancy". I did not sing anymore for 7 years. My son was born in 1983 in Dallas, Texas and I enjoyed so much being a mother, and as a result I poured my life and love into him. You began to sing again in 1987 if I'm not wrong and you recorded two cassettes tapes, "In Jesus Name" and "Double Portion". Could you tell us about it, their style and especially about the gospel rendition of "Sweet Home Alabama" titled "Sweet Home Heaven"? 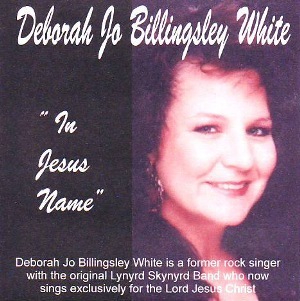 Well, "In Jesus Name" was my very first solo recording. It is basically a mixture of songs I liked to sing at the time; mostly praise and worship type songs written by various artists. 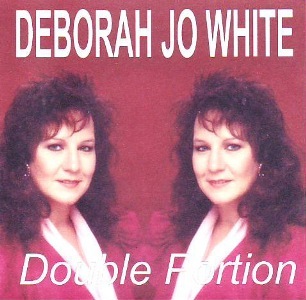 The next recording "Double Portion" was the same type format but with a more upbeat style. "Sweet Home Heaven" is a spin on "Sweet Home Alabama"; just different lyrics. It tells about heaven now being my real home. I was given the song one night many years ago by a music minister after I had ministered at his church and I later added a few more lines and have been singing it ever since. Yes, but only by request through my ministry. I had them converted into the CD format about 2 years ago. Did you record something else between the cassettes and "I Will Obey"? Yes, I recorded as a guest artist on Michael Buffalo Smith's "Something Heavy" project. I also recorded with Artimus Pyle on his "Artimus Venomous" project. Ed King, Artimus Pyle, Leslie Hawkins and I also did a Skynyrd Legends tour in 2005 with the Saturday Night Special Band. We also did a show with all of us and Bob Burns, too, and some wonderful musicians from NY. It was historic. We were a really good band and it is such a shame because of someone it broke up, too. Such a waste of good talent. On the DVD "This Is Southern Rock", there are four songs with you, Leslie, Artimus and Ed (I don't remember seeing Bob). Was it from that 2005 tour? I have no idea; I never even knew of such a project! This is my first knowledge of it. If you get a copy, how about sending one to me? How the project was born to record this disc? I have had some of these songs for many years but never had the opportunity to perform them due to my lack of skill in not being able to play an instrument. But still I had the songs in my head and my heart. I sang one of my songs to my then music pastor, Larry Graham, one day while at work at our church and he helped me by playing the song on the piano exactly as I had sung it. I never knew it could be done that easily! He then helped me to get a couple of the songs down that I already had in my heart. Len Mink prophesied to me in 2001 that the Lord wanted me to do a project. That opportunity happened after I sang at Pastor Robb Tripp's church in Gallatin, Tennessee, in 2004 where Buddy Hyatt heard me sing and also heard from God that he was to record me. He obeyed what he heard and the result is this project! Buddy is one of the most generous men and gifted keyboard players I have ever heard. He is also a wonderful producer. He hand picked the musicians for my project and I could not be happier! They are all God's absolute best! I am so thankful to them all for their help, and for the brothers who sang my backup vocals. They all are awesome! All the ten songs are (co-)compositions of you. Is it easy to you to create melodies and lyrics? Yes, they just come to me; some easier than others. I sometimes get the whole song at once, melody and lyrics, then at other times I get only melodies and I add lyrics later. What are your main influences: gospel? Southern rock? Etc. My main influences are the Word of God and my relationship with Jesus. Of course I lean toward the Skynyrd sound since I was a part of them and that is now part of my musical heritage. . I believe Gospel music does not have to be dead and boring! It should be exciting and alive because Jesus is not dead; He is alive! My favorite song is the marvelous "By My Spirit". Could you tell us about how you created the music? Buddy Hyatt had a big part in that; I had the main melodies and the lyrics of all the songs; Buddy then came up with the arrangements on the songs. He is wonderful. The best part is that he did not try to change my songs; he just enhanced what was already there. I love him for that! I suppose that the lyrics are very important for you. Do you write only songs about God, the religion? My relationship with Jesus is the only reason why I am still alive today and He means more to me than anything or anyone. He has done so very much for me; set me free from a lifestyle of drugs and alcohol; saved my life more times than I can count; gave me a reason to live. If only people would give Him a chance, He will make something beautiful out of the ashes of their lives. We are all created for a purpose. Mine is singing, and telling others of His marvelous love for them. I wanted my songs to be sermons in song format, and not just empty and meaningless lyrics. That is why I chose the Word of God because it is already anointed, and it never changes. How were the musicians chosen? As I said earlier, Buddy Hyatt chose them. They are all session players there in Nashville. Will you only sell the disc through your website or are you searchin' for a more wide distribution? I would love nothing more than to have more distribution, even world wide, but I do not know how to go about that and no one has offered. I trust the Lord to send me someone to help. Since I was never paid for singing on the Skynyrd albums ( I suppose because I was an employee at the time) I am now a bit gun shy so to speak in trusting people until the Lord gives me the go ahead. Would you add something about this disc? It was a desire of my heart to do this and it has now been done. These songs are straight from my heart to the heart of everyone who hears. I want people to know that with God all things are possible in their lives. What are now your projects, especially musically? I still love singing the Skynyrd music and was so hurt they never asked me to come back. The only reason Leslie and I got to attend the Rock and Roll Hall of Fame Induction Ceremony is because a very generous benefactor (who will remain anonymous) paid our way. The group did not even invite us to attend. After we were already there they did allow us to sing on "Sweet Home Alabama". All surviving members of the original band were all onstage at the same time. It was a heart warming time. You've be on tour with Ed, Artimus, Bob and Leslie but weren't you in relation with Gary Rossington or others members of the "new" Lynyrd Skynyrd after the crash? No, but I love them anyway! The band only contacted me once and that was the 10th anniversary of the plane crash when they had a concert at the BJCC in Birmingham, AL .on their Tribute Tour. My husband and I were invited then by the new Skynyrd to come down for the concert (since it was only 55 miles from our home here in Cullman, AL.) and it was wonderful seeing all of them. They even surprised me by asking me to sing on "Sweet home Alabama" that night. I saw them a few years later at a soundcheck in Huntsville, Al. ; also when we did the world premiere of "Freebird, the Movie" in Atlanta; and at the premiere at the Rock & Roll Hall of Fame in Cleveland. That was the only contact I had with them to the best of my recollection. I did go to Birmingham at Judy Van Zant's request one night to sign autographs before one of their concerts. My young son and I were put out into the crowd during the show where we were mobbed and harassed by some drunk fans. Needless to say, my son and I left the show early for our own safety. I tried to go to some of their concerts near my home over the years and their management company acted as if they did not know who I was! Dale and Gary called me a couple of times a few years ago, but not lately. I do pray often for all the former and current members of the band that are still living, and their families. Not yet. I am writing. As long as I have breath in my body I will sing; then when Jesus moves me to heaven I will sing there forever! What are your favorite Southern rock discs? All the Skynyrd albums, plus "The Allman Brothers Live at Fillmore East." I like all the southern rock albums. People like Charlie Daniels band, Marshall Tucker band. Molly Hatchet, etc. are all great musicians and good people. THANK YOU, Luc, for this opportunity, and thanks even more for playing my music. God Bless you!